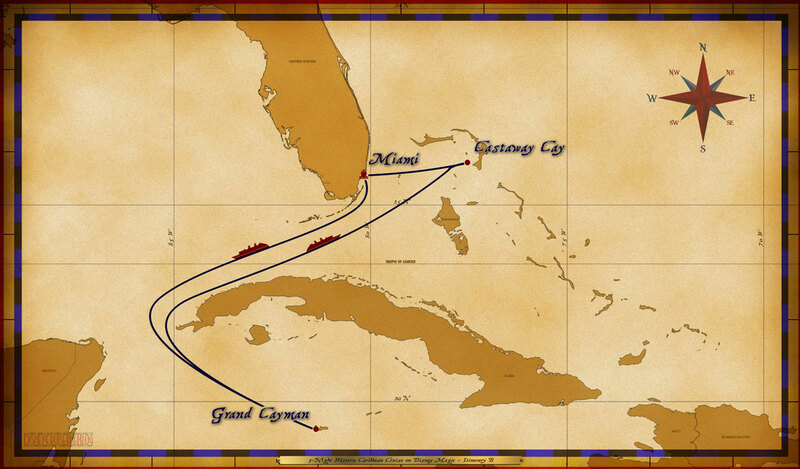 Personal Navigators, and other handouts from the 5-Night Western Caribbean Cruise from Miami. The Disney Magic set sail from Miami on January 20, 2019. There are additional Personal Navigators from other sailings of this same itinerary for comparison. During this cruise, the ship was under the control of Captain Fabian Dib. The Cruise Director during the sailing was Darren McBurney. Thank you Gavi Hoffman and Dorothy Cassetta for sharing. Disney Magic's 2013 Dry Dock Will Be in Europe, But Where??? This entry was posted in Personal Navigators and tagged Castaway Cay, Disney Magic, Grand Cayman, Marvel Day at Sea, Miami by Scott Sanders. Bookmark the permalink.